Home How It Works Megabits vs. Megabytes: What’s the Difference Between Mbps and MBps? 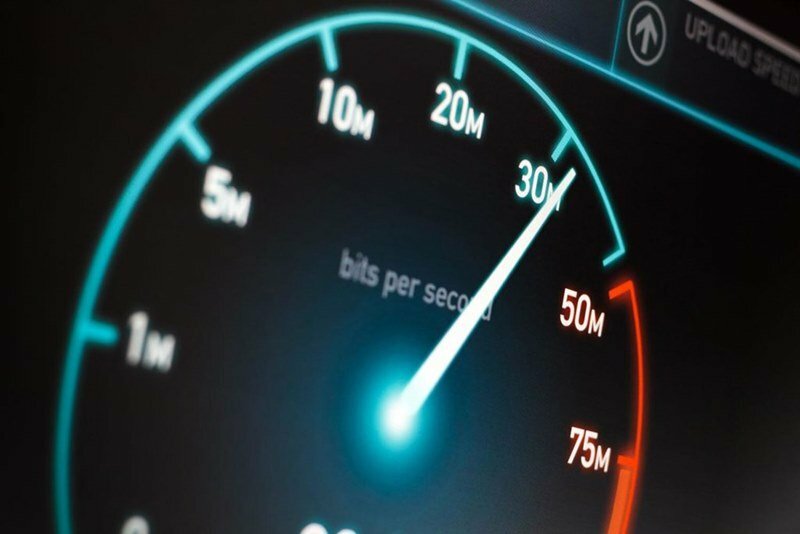 Megabits vs. Megabytes: What’s the Difference Between Mbps and MBps? 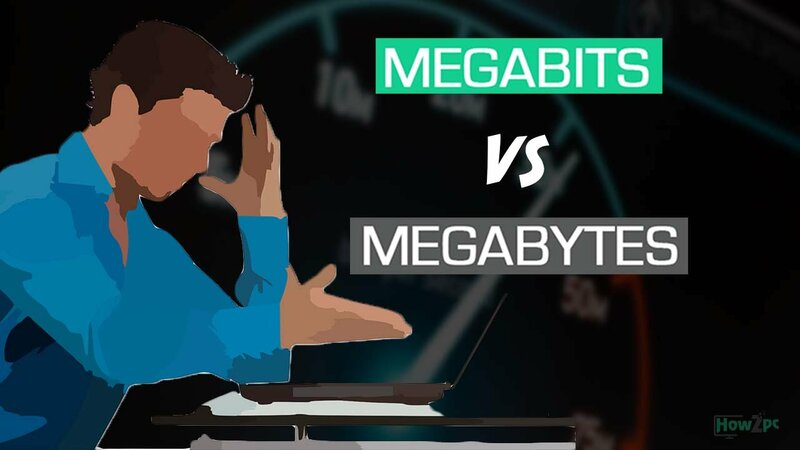 Megabits vs. Megabytes: What’s the Difference? It is simply frustrating when our web pages take a lot of time to open and the downloads and loading process is at its worst. What’s more frustrating is not knowing the reason behind it. Sometimes the reason behind the slow processing is our computer hanging or other times it is our browser making a problem but most of the times it is our internet which causes the main problem. The whole internet problem starts when we first buy a package without adequate knowledge of speeds. It happens because we don’t look for packages from a professional point of view while buying them. With more and more usage of internet these days the speed of the internet has become very important for a normal person who works from home or a student who takes an online class. In this era of internet and computers people have started relying more on the technology not only for educational or work purposes but for entertainment purposes as well. From elders to youngsters and even children have their favorite movies and channels which they like to watch via internet. Internet speed has become the most important factor in the world of entertainment. The most important thing before buying any internet package is to look at the services the package is providing; a good speed, full guarantee for the speed mentioned and no hidden charges. But instead of looking carefully at the above mentioned specifics what we do is just look at the speed mentioned in Mbps; the more Mbps we see on the package the happier we get. Well, the numbers mentioned in front of Mbps are not enough for us to spend money on a package. We need to have a full understanding of the difference between an Mb and a MB. Before buying any internet package we firstly need to have a better understanding of these speed units. They may determine our internet fortune for us. There is a huge difference between Mbps and MBps; a small b and a big B. For instance, when we look for a package which says “100Mbps” we assume that it will provide us with 100 megabytes speed per second for downloads and stuff. But the truth is slightly different and eye popping. Of course people with a good understanding of computer stuff would know the difference but many people who have not studied about computers would not be able to tell the difference. 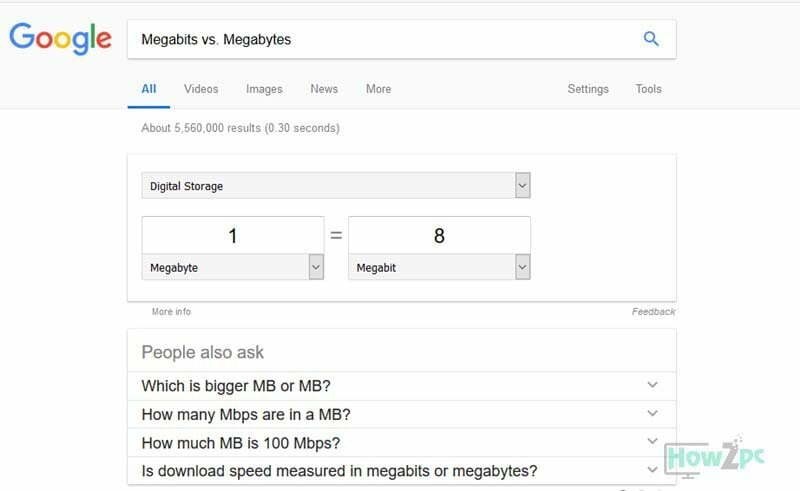 For better understanding this concept we need to know the difference between megabytes and megabits. Many people assume these bits with bytes which then cause problems while downloading and browsing. The speed we assume we are getting is much lesser than the one we are actually getting. We spend so much of our money on these internet packages we should know the concept and basic difference of speeds. We need to check before buying an internet package from a company that whether that company use Mbps or MBps for measurement but mostly it is Mbps and how much Mbps they are providing. We should then convert the megabits to megabytes and we will know about the real speed been provided to us. This understating about the speed units is vital for us so that we know what we are getting into because sometimes what we think we are getting can become 8 times lesser than the actual one. Why Use Mbps? Why Not MBps? The reason why companies measure speed in bits instead of bytes is because the numbers look more impressive in bits. For instance, if company A writes 6.25 MBs and company B writes 50 Mbs, many people who have no knowledge about the difference between a bit or a byte would go for company B. Although both the companies are providing the exact same speed it is just the numbers which are prominent and make the whole difference. Basically, this is a marketing stunt to attract more customers. There is another reason for broadband companies using bits instead of bytes and that is MBs have always been used for measuring storages and sizes. For example, 200 MB file and an 8 GB hard drive. There is another reasonable explanation to why companies use bits for internet measurement; a bit is the smallest unit of measurement or in easy words measuring the rate of flow in the house. Many years back people were only concerned with the speed of internet for communication purposes but now most of the youth’s entertainment depends on the internet. Websites like Netflix are a reason for people to look for a package with great speed. Internet speed is important now and this is one of the reasons that companies use bits instead of bytes. Only knowing the difference between bits and bytes is not enough but we should look closely for the details mentioned on the packages. Sometimes many broadband companies write “up to” on the package details which mean that there is no guarantee for the speed mentioned there. The speed depends on many other factors which include your distance from the ISP and the load of people using internet at the same time. So, “up to” means the speed can be anywhere between the mentioned speed. What Is VSync, and Should We Turn VSync On or off?